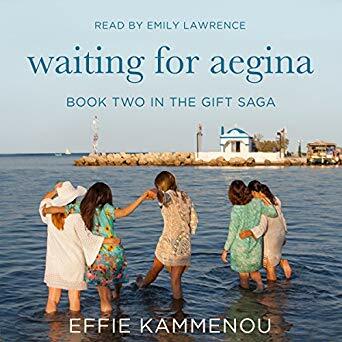 Today I want to introduce the second book in The Gift Saga to you: Waiting for Aegina. Also narrated by the wonderful Emily Lawrence. The ebook is free in Kindle Unlimited and you can pick up the audiobook on a cheap Whispersync Deal. These graphics and that blurb. Wow! Haven’t heard of this book and author yet but it looks like my kind of read. Thanks for sharing! Oh I love the graphics! This premise is so lovely, thank you for giving me a heads up about it! That last graphic is so cute! I’ve not heard of the series before. I do enjoy series like this. I’ll have to check it out! Thanks for sharing. Will give a try! This must have been a heartfelt story.